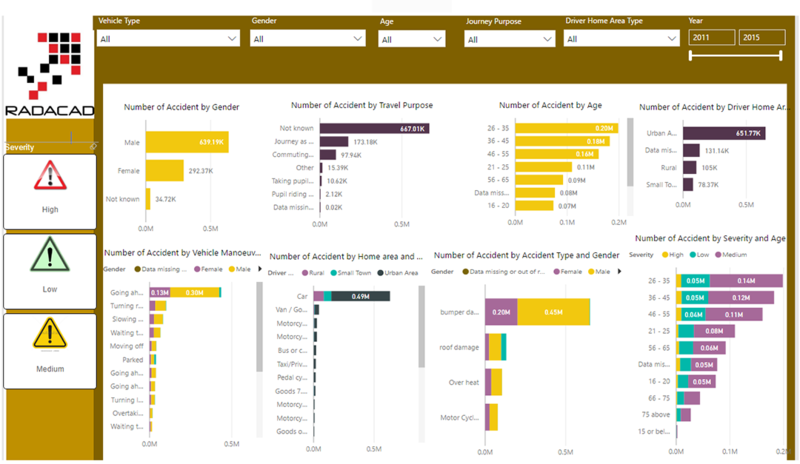 Insurance companies are always are interested in obtaining detailed reports on the number of accidents, and understanding what type and severity of accidents are most common as well as the most common parts are involved in each type. 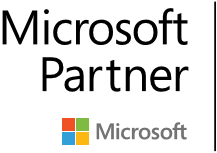 A visual report helps them make better decisions. Insurance companies are always are interested in obtaining detailed reports on the number of accidents, and understanding the type and severity of accidents that are most common, as well as the parts most commonly involved in each type of accident. 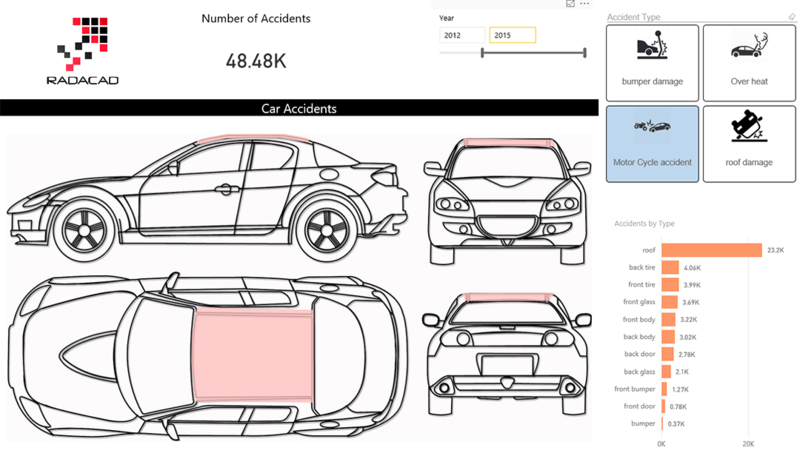 A visual report helps them make better decisions. 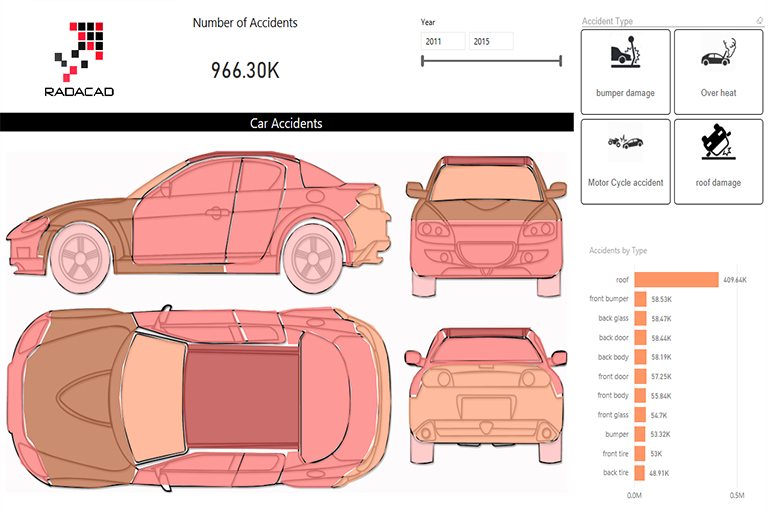 An insurance company needed a visual report that would be easy for different levels of management to understand, and would include information about the number and type of car accidents, their severity, details about the driver, which parts of the car were impacted, and what led to the accident. 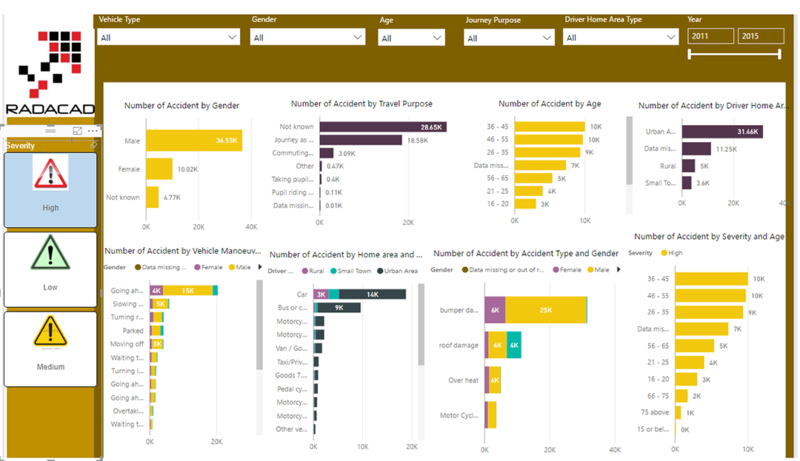 To address this problem, we created a custom visual report wherein users are able to click on the different parts of the car to see the relevant information about the accident including the most common type of accident associated with the part, the severity of the accident, and also provides detailed information about the traveler age, gender, car type, and the actions that led to the accident.